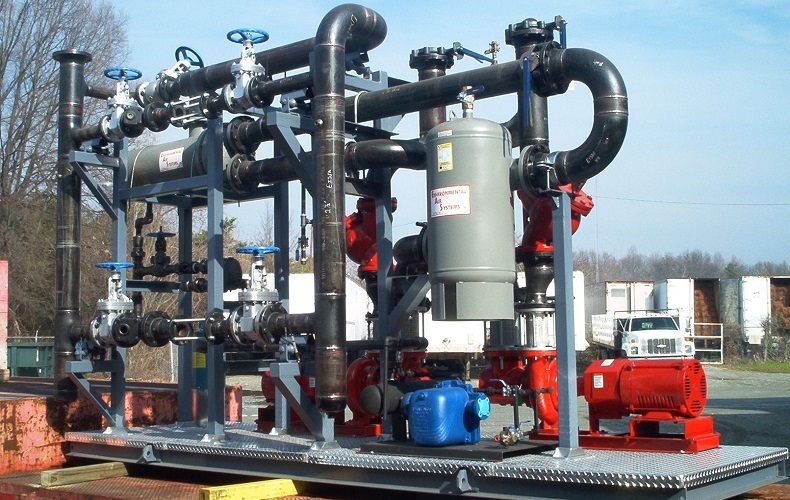 Environmental Air Systems manufactures a variety of Mechanical Super Skids to meet the most demanding design criteria. 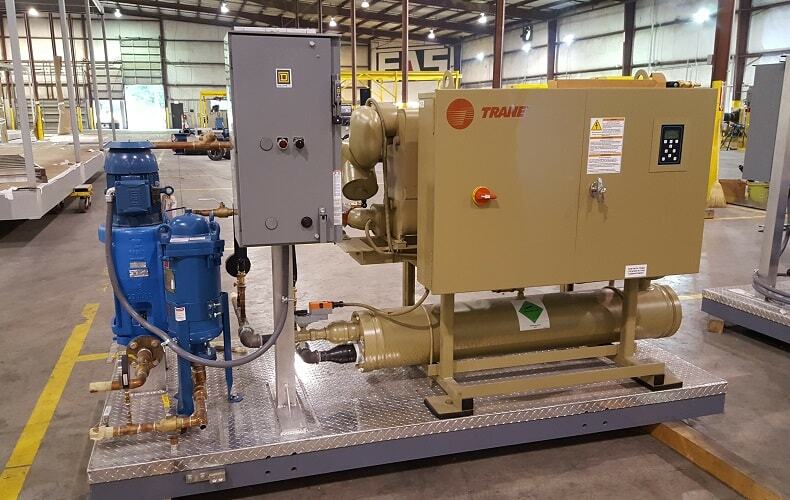 Examples of EAS Super Skids include Custom Pump packages, Chiller Skids, Boiler Skids, Medical Air and Vacuum Skids, Heat Exchanger Skids, Specialty Process Skids, and VAV Skids. 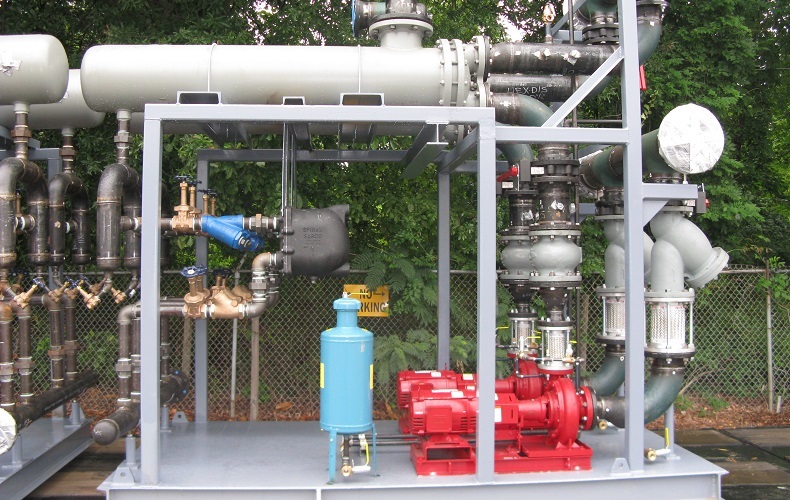 Like our other products, EAS Mechanical Super Skids provide the highest quality solution to your project. 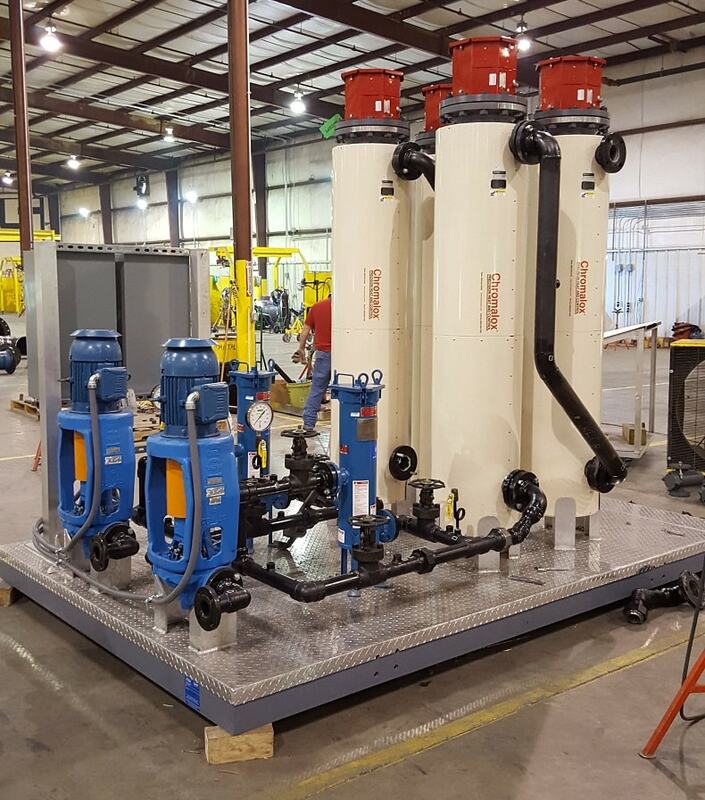 Utilizing our fully welded structural steel bases and 3/16” Aluminum safety tread floor, EAS Mechanical Super Skids are second to none in quality and reliability. 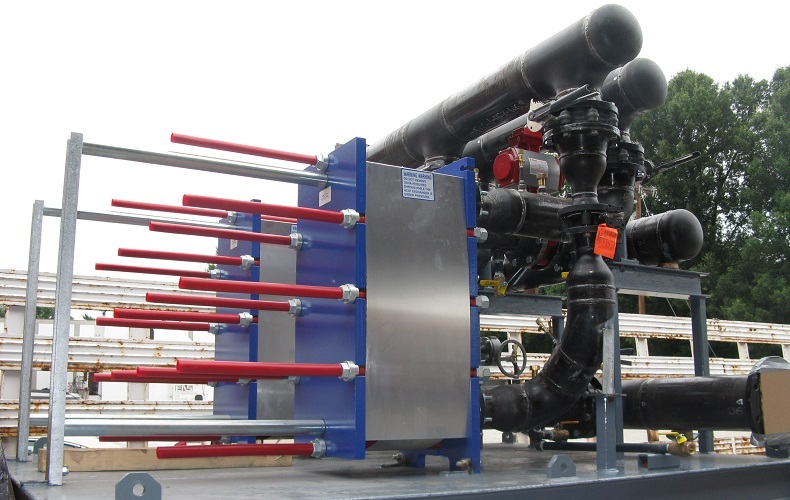 Super Skids are manufactured in a controlled plant environment from start to finish which allows for total quality control and coordination. 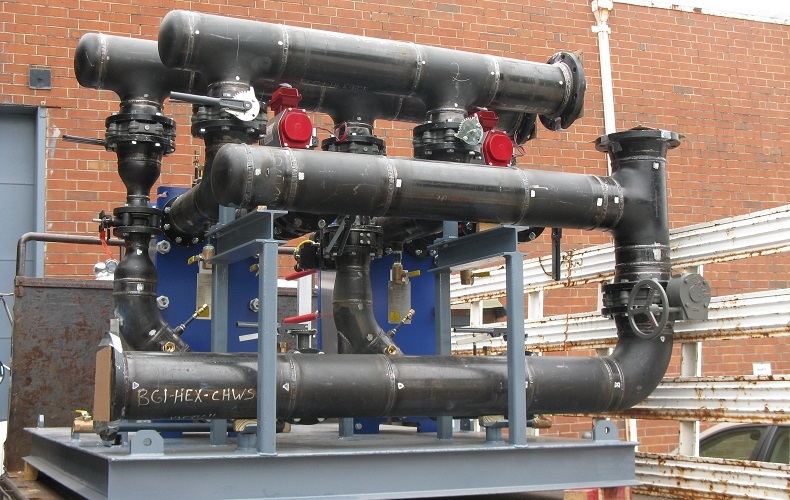 Our Mechanical Super Skids are the perfect solution for component replacement in existing buildings where space is limited. 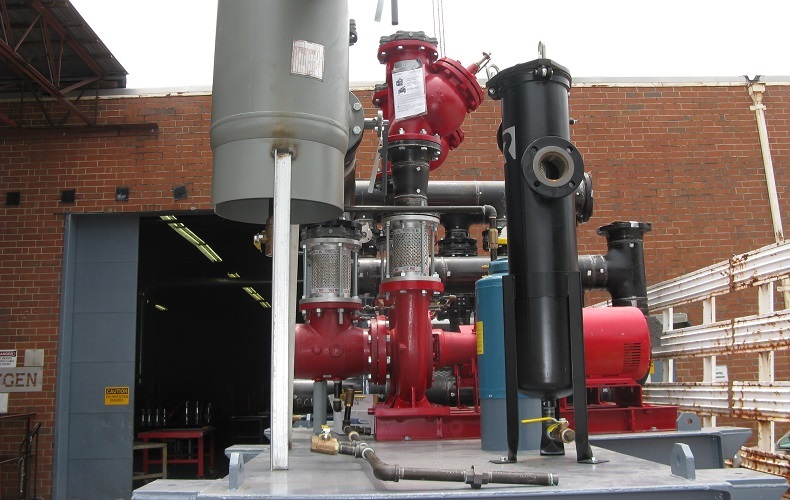 Skids are provided with all MEP components complete from the factory and can include independent control systems that can be tied into the building BAS. 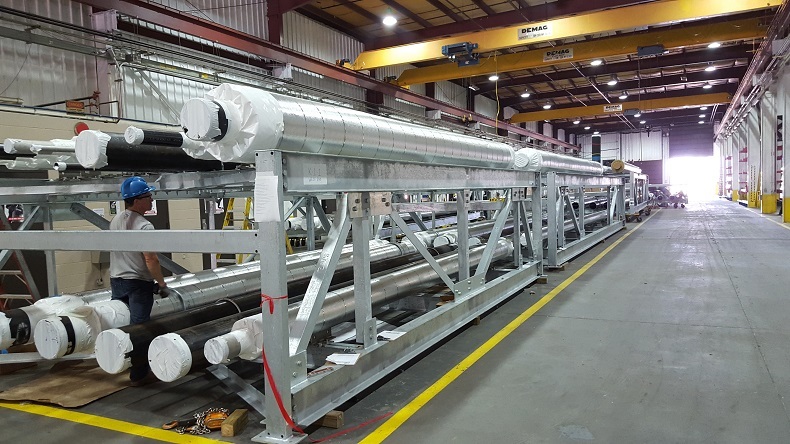 EAS can also perform complete factory testing on the skid as well as pre-commissioning services to greatly reduce field schedule and cost.